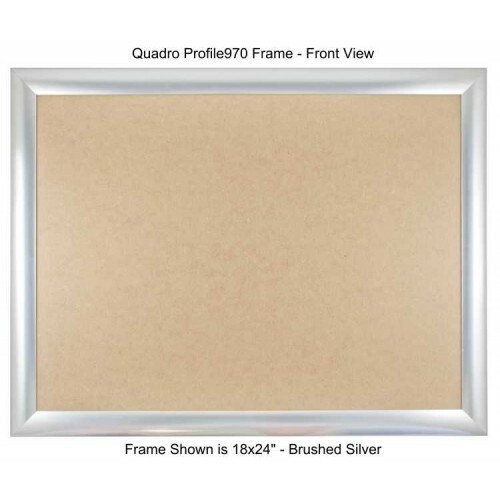 Complete set of Quadro Profile970 Frames. 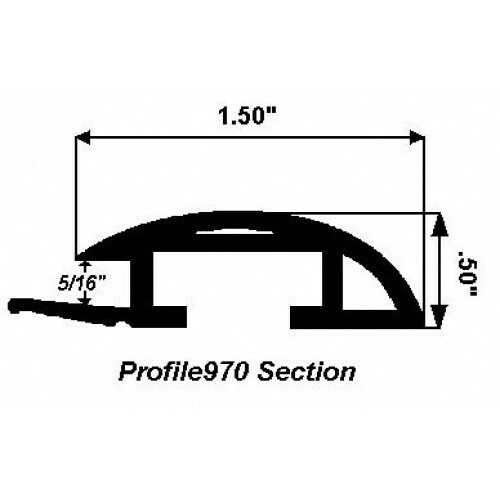 Exclusive side loading Profile970 picture frame molding system assembles quickly with perfect corner miters - no tools required! 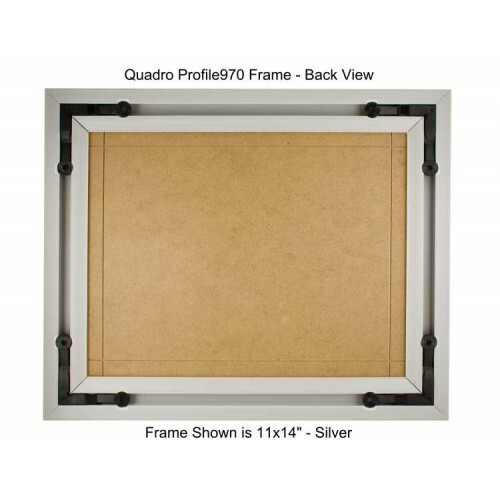 ABS plastic moldings with a foil finish - virtually indistinguishable from metal frames. All materials required to make fully functional, ready to hang picture frames. 1/8" thick MDF Backing Panels. All hardware for assembly and hanging. 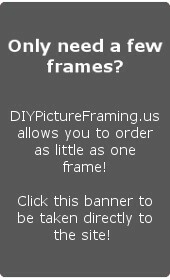 Frames hang directly from two corner clips. 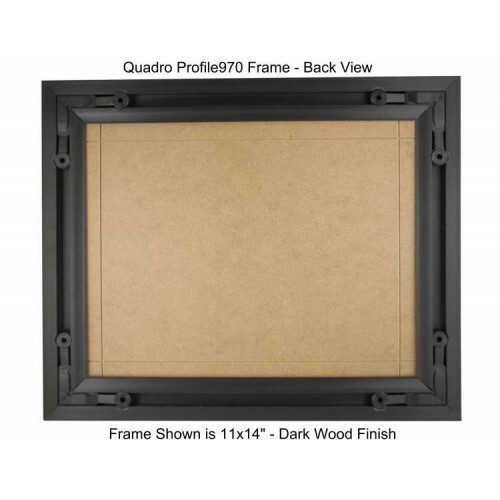 Quadro Profile frames are custom manufactured at our Worcester, MA facility and will typically ship in 1-5 business days. Mattes. 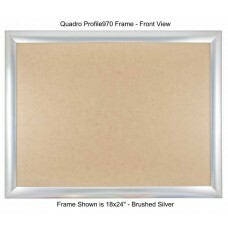 The frames will accomodate a single standard 4 ply bevel cut matte (total frameable thickness , image + matte is 1/8"). 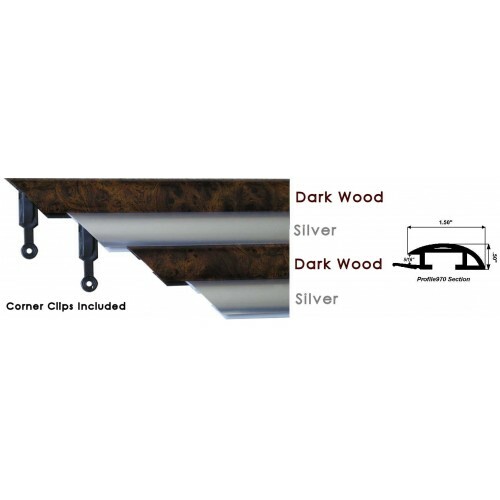 Moldings are extruded ABS plastic with a co-bonded foil finish. Fast, Tool-Free Assembly and Dis-Assembly. Frames hang directly from concealed sawtooth feature on corner clips. 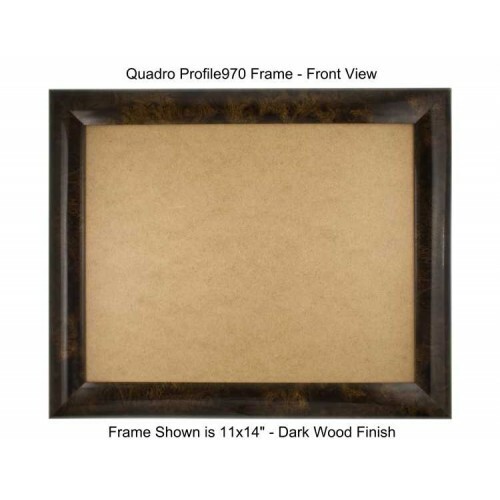 Exceptional Value - Gallery Quality Results. Frames are true inch sizes (not metric approximations). Precision Components are pre-cut to size. Moldings CANNOT be modified to a different length. Dimensional Tolerance for MDF backings is +0.0" / -1/8"
Dimensional Tolerance for glass and plastic panels is +/- 1/16". Can use with bevel cut mattes - total frameable thickness ( image + matte) is 1/8".